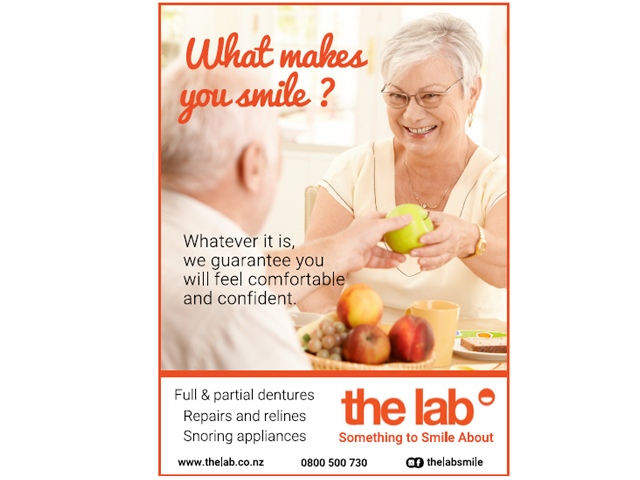 The Lab is a complete clinical denture service. We custom make and supply full and partial dentures, relines, repairs, snoring appliances and mouthguards, and ship New Zealand-wide. We understand that the sooner your problem is fixed, the sooner your quality of life is improved, and we make it happen as quickly as we can. Repairs and relines can happen the same day. All work is handcrafted in house and overseen by a New Zealand Registered Dental Technician who takes a personal interest in delivering you a high-quality solution. We undertake denture repair or lost denture replacement work under house and contents insurance for all major insurance companies. Enjoy the things that make you smile. Contact The Lab today. Call 0800-500-730.